You know Firefox is the most popular browser of all time and there are a lot reasons for this kind of popularity.I think one of the most important thing is the Firefox Addons.We can find hundreds of addons for our needs and of course it is impossible to use all of them.Once a week i check Firefox Addon web site and i look for interesting and useful addons for myself to use. Today i wanna share 33 Firefox Addons which you know most of them but it may be good to try some of them. It will perform a screen capture and then open the image INSTANTLY in a basic image editor where you can do markup (draw arrows and rectangles), edit (crop, rotate and resize) and get the exact pixel colors of the image. A perfect companion tool for designers and bloggers. TinEye is the first image search engine on the web to use image identification technology rather than keywords, metadata or watermarks. When you submit an image to be searched, TinEye creates a unique and compact digital signature or ‘fingerprint’ for it, then compares this fingerprint to every other image in our index to retrieve matches. 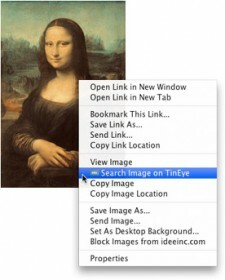 TinEye does not typically find similar images; it finds exact matches including those that have been cropped, edited or resized. Downloads all the images hosted on many of the popular free image hosts. Supports YouTube’s new layout! YouTube download in a single click. Download YouTube videos in FLV, 3GP and MP4 (both High Definition and iPod compatible High-Quality). The simplest YouTube Video Downloader for all YouTube Flash sites, period. Get visual video summaries and related videos on Twitter, Google, YouTube, Yahoo! and more. See the contents of a video link before you click to watch the video.VideoSurf video summaries display selected thumbnails from the most important scenes in a video. Preview video links in Twitter instead of blindly clicking shortened URLs. Now you can easily find the video you want, avoid spam and jump to specific moments in a video. 3D in your browser! FoxTab brings innovative 3D functionality to your Firefox. 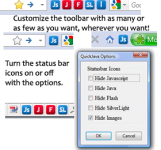 AiOS lets you open various windows as sidebar panels, and quickly switch between them. So it put an end to the window chaos! In addition to bookmarks and history it opens dialogues such as downloads, add-ons and more in the sidebar. Copies the name (source anchor) of a link. Just a small extension that adds a context menu item to copy a link’s source anchor. Manage any SQLite database on your computer. An intuitive heirarchical tree showing database objects. Helpful dialogs to manage tables, indexes, views and triggers. You can browse and search the tables, as well as add, edit, delete and duplicate the records. Facility to execute any sql query. The views can be searched too. 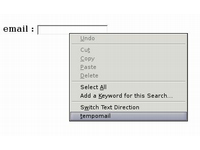 A dropdown menu helps with the sql syntax thus making writing sql easier. Easy access to common operations through menu, toolbars, buttons and context-menu. Export tables/views/database in csv/xml/sql format. Import from csv/xml/sql (both UTF-8 and UTF-16). Possible to execute multiple sql statements in Execute tab. You can save the queries. Support for ADS on Windows. CoLT adds two menu items to the browser’s context menu, both of which are only visible when right-clicking a hyperlink. The “Copy Link Text” menu item copies a hyperlink’s associated text to the clipboard, while the “Copy Link Text and Location” menu item copies both the hyperlink’s text and URL to the clipboard in the format you choose: either as plain text, as an HTML hyperlink, or as a custom format (which you may specify). Google Global allows users to quickly and easily see organic and paid Google search results as they appear in different countries, cities, regions, ZIP codes and IP addresses. Once installed, Google Global will add a default and user defined context menu to all Google search results allowing the user to view what the results will look like in different locations. Users can set unlimited custom “locations” and open them all in new tabs if required for easy comparison. iMacros was designed to automate the most repetitious tasks on the web. If there’s an activity you have to do repeatedly, just record it in iMacros. The next time you need to do it, the entire macro will run at the click of a button! With iMacros, you can quickly and easily fill out web forms, remember passwords, create a webmail notifier, download information from other sites, scrape the Web (get data from multiple sites), and more. You can keep the macros on your computer for your own use, or share them with others by embedding them on your homepage, blog, company Intranet or any social bookmarking service. Create temporary email adresses to prevent your mailbox from spam. Save pages to read later with just one click. When you have time, access your reading list from any computer or phone, even without an internet connection! 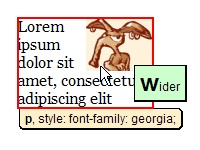 Draw out a ruler to get the pixel width and height of any elements on a webpage. Web of Trust is one of Mozilla’s most popular add-ons. Our safe surfing tool uses a traffic-light style rating system to help you stay safe when you search, surf and shop online. WOT ratings are powered by a global community of millions of trustworthy users who have rated millions of websites based on their experiences. The WOT add-on provides reputation ratings to search results when you use Google, Yahoo!, Bing, Wikipedia and other popular sites, helping you protect your computer and personal information. Your online email account – Google Mail, Yahoo! Mail and Hotmail is also protected. 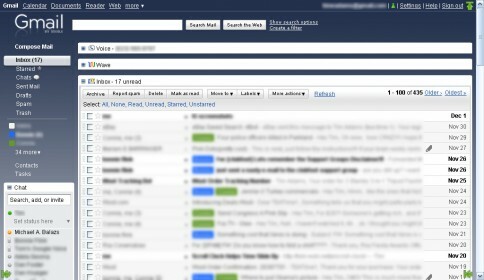 WebMail Notifier checks your webmail accounts and notifies the number of unread emails. TwitrPix is a leading photo sharing site for Twitter users. Using TwitrPix Express for Firefox, you can upload and share any photo from any web site on Twitter without leaving the site you are on. Simply right-click on the image you want to share and select “Share using TwitrPix.” Enter your Twitter information and click Share. A link to the image and your tweet (status message) will be posted on Twitter. A “view image” button will appear if you want to see the photo you just tweeted. Music Player Minion is a client for the Music Player Daemon network music player. The purpose of MPD and it’s clients is to allow music playback on one PC (such as a home media server) to be controlled from another over the network.This extension provides a full client, a sidebar version and a mini-player. You’ll need to enter the mpd host and port information in Settings if you are controlling a remote server. Quick previews can be easily obtained with IMDb Preview’s sophisticated fetching of information. Just stand on an IMDb link (from any site) and a handy popup will show you all the information you need. “A MUST have for eBay Shoppers”. Easily navigate popular eBay destinations. Monitor eBay visually. Watch eBay trends. SmoothWheel Scrolls the page smoothly when scrolling the mouse wheel (or keyboard arrows if enabled). This Firefox extension contains many options, all of which are accessible by (1) right-clicking the status bar icon, or (2) clicking “Tools->Addons/Extensions” and double-clicking the Linkification entry. great list of features, some i already love some im downloading now! Great collection of addons! Thanks for sharing.